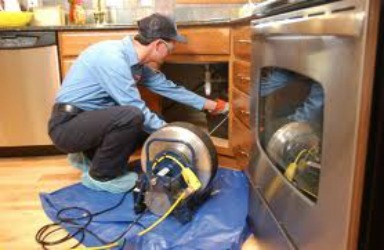 Hiring a drain cleaning company in Tempe is an important decision. Hire the wrong person and you could end up with more problems that you started yet. More people in the city choose Tempe Discount Plumbing & Drain to unclog toilets, sinks, and sewer lines than any other company. So what makes us so special? Here are some of the best drain cleaning services we apply to make sure our customers are always happy. Our licensed plumbers use video camera inspection equipment to diagnose drain clogs. Not all companies use this technique, but we feel it’s the best way to show our customers what is really going on their drains. Using this technology, the plumber and the customer can view the live-feed together so that any questions a homeowner has can be answered right then and there. Clogs that are treated professionally have fewer chances of reoccurring when homeowners maintain their drains through hydro jet drain cleaning and practical usage. If a clog returns shortly after we treat the blockage, we’ll work with you to correct the issue. At Tempe Discount Plumbing & Drain, we guarantee our work and promise that our customers will be 100% satisfied. Best drain cleaning services use the latest technology to obliterate clogs and make other plumbing repairs. Our licensed Tempe plumbers are expertly trained and care about being educated about industry advancements. Whether it’s installing a new shower floor drain or clearing an obstructed sewer line, our plumbers will use the best tools to fix any problem. Are you ready to tackle that clog that is making it difficult to use the toilet or take a shower? Then give your local plumber a call for affordable, 24 hour plumbing service near you.